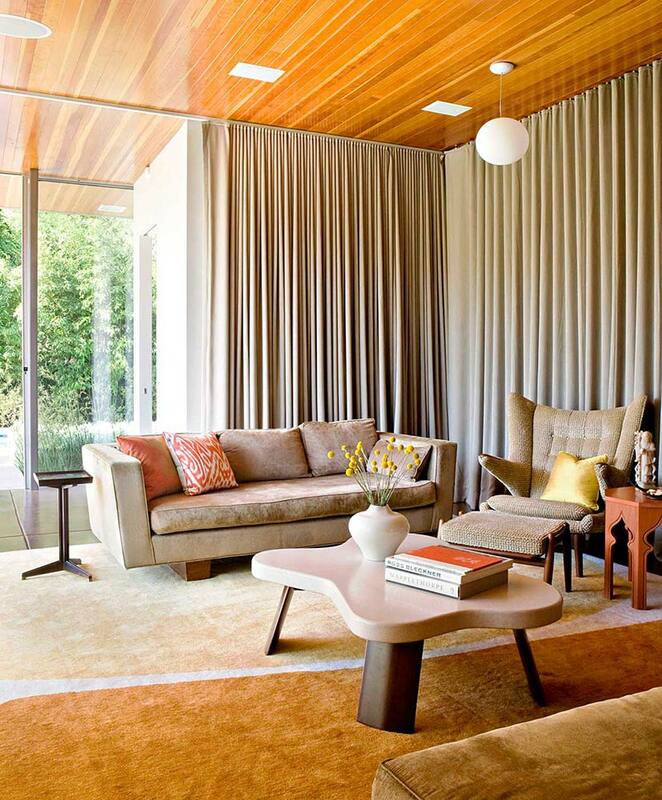 PRJ - Brentwood Modern — Jamie Bush + Co. The owners of this 1940s Brentwood, California ranch house, a former studio head and her partner, wanted a new screening room that they added with an extension. Additional modifications to the 4,000 square foot home included the additions of a flat roof, new glass-curtain walls and concrete floors. Jamie had been brought in to balance the interiors with furnishings, which favored on a warm minimalist mid-century aesthetic. The grounded natural palette and wood, straw and Jamie also added pops of bright color like teal and lemon yellow to provide a stimulating environment for the couple’s three children, but grounded them with a more natural palette and organic furnishings, so as to also feel balanced and adult.